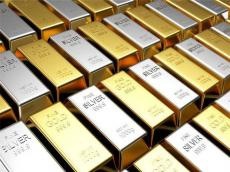 The price of one ounce of gold increased by 17.527 manats or 0.87 percent last week in Azerbaijan. Accordingly, the average price of one ounce of gold stood at 2,033.8273 manats. Last week in Azerbaijan, the price of one ounce of silver decreased by 0.0936 manats or 0.39 percent. Accordingly, the average price of one ounce of silver stood at 24.3830 manats. Last week in Azerbaijan, the price of one ounce of platinum increased by 18.3022 manats or 1.32 percent. Accordingly, the average price of one ounce of platinum stood at 1,400.0622 manats. Last week in Azerbaijan, the price of one ounce of palladium decreased by 14.773 manats or 0.82 percent. Accordingly, the average price of one ounce of palladium stood at 1,802.7089 manats.